I am a Daddy’s girl myself. A lot of father’s days were celebrated and gifts were given. I feel so protected and safe when ever my dad is around. I make it to the point that I made something special to make him smile. Making my father smile is a great thing for me; I know that in that small way I was able to let him know how big my love for him is. Celebrate Father’s Day, Christmas or his birthday in your own special way. Surprise your dad and make him smile. Take a look at these goody gifts that your dad will surely love and appreciate. I see this gift an affordable but lovely present to give your dad. It suits your budget but won’t fail you to make your old man happy. It is has a small frame so don’t be daunted to when you get it, the main reason why I suggested this is your dad can bring it any where he goes; maybe in his car or on top of his desk. 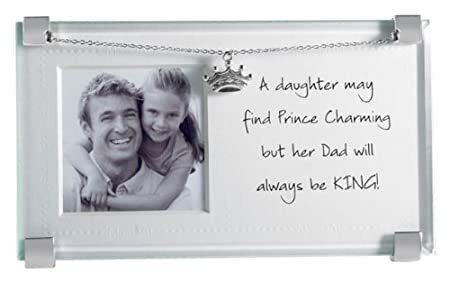 It has a cute silver crown charm, 3.5”x6.25” design and has a note that goes: “A daughter may find Prince Charming but her Dad will always be the King.” Just reading this will surely melt your old man’s heart. 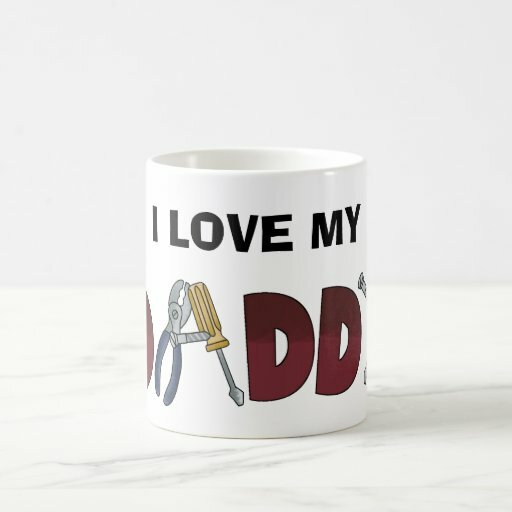 This gift really shows humor but in reality most dads feel that way. I can attest to that. A father’s girl I nearly ended up not marrying my husband. This funny present will really bring humor on this special day. This humor shirt is made of high quality 100% cotton, color black so he can pair it with his favorite jeans or short pants. It somehow stands as a warning to those guys planning to take his princess away from him. I am starting to wonder if this will be his new favorite shirt. “Looking at you, I see wonder, joy and strength” this phrase really describes what this figurine wants to tell your dad. As a daughter I feel safe when ever my Dad is around, I know that I can lean on him and I will never get hurt when he holds my hand. 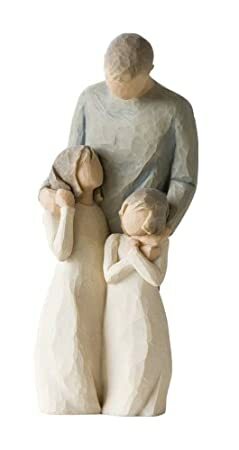 Willow Tree “My Girls” figurine is just a simple and tiny gift to give your dad but it shows tons of love and emotion. Now you can assure him that you are his little girl forever. Driving might really stressful as well as a day at work and your dad might need something to relax and amaze him at the dashboard of his car. This unique gift will really amaze your dad. An electronic butterfly in a jar? Imagine that! Ok if you are curious how it works let me tell you this little secret. This jar has a wire in it and the wire has a fake butterfly on the end. When you tap the top is makes a vibration that makes the wire wiggle. No worries it wouldn’t die it only needs battery not air. This is a cool gift to give your dad and he will definitely make him crazy. This electronic Goldfish in a Bowl needs no fish food, no hassle all you need to have are batteries and water. If your father loves goldfish but is so busy to feed and clean its fishbowl this is the right gift to give him. 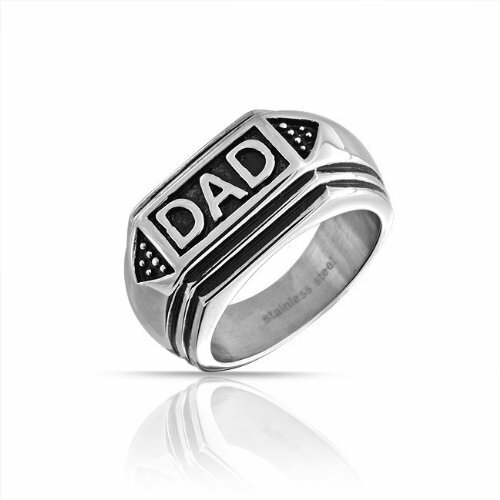 Your Dad will surely love this Geometric Men’s Dad ring. It is made of stainless steel, black enamel and only weighs 10 grams. It has the word “DAD” engraved on it. Your dad will be proud to wear this every day. He for sure will be glad to let the world know how proud he is to be a dad and most of all to be your one and only, DAD. Not all great gifts can be put in a box and be wrapped with colorful papers. There are also gifts that they can’t keep physically but they can hold in their memories forever. Give your father a wonderful golf experience. Give him a cool golf lesson with a PGA pro. Of course you would want your old man to get the best you can give him. He will definitely appreciate this gift idea, so if I were you I will go and reserve a class for him now. Every man dreams of driving a Ferrari and for sure your dad belongs to that long list of names who wanted to experience driving a Ferrari. If you can’t buy him one you can let him experience driving one! Make his dream come true and make him race a Ferrari car. Don’t worry he will be with a professional instructor that will give him helpful racing tips and techniques. Don’t tell him yet ok? He might not wait for Father’s day to come. Not all gifts on father’s day should be super special. You can give him a present he can use every day or can help him with his passion and crafts. For sure he will appreciate this gift. 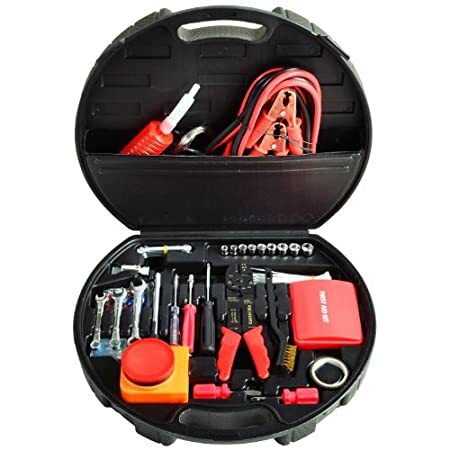 This has a unique wheel shaped case, compact storage and has a comprehensive 152-piece set of screw drivers, pliers and other stuff he can use for his everyday crafts. You better check this out. This is another gift idea to give your dad. 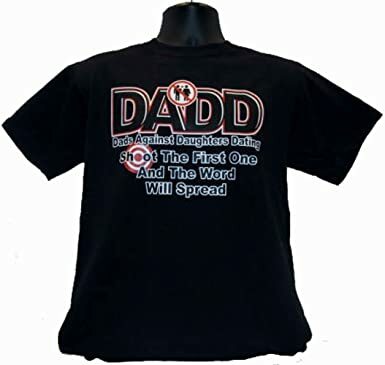 Your dad will love to have this adorable gift. Tell him how you love him and you can now do it every day and every time he enjoy his favorite coffee. Choose mugs that have a simple and gorgeous design. Your father will always be there for you. Father’s days comes once a year, but he will be a father every day and every minute of your life and assure him that you will always be his daughter, his little princess no matter what happens. This site has a lot of ideas that are nice and all, but these items are not inexpensive at all. Come up with even better ideas that aren’t as expensive. Hey Elijah! This is Roth (my handle is Jordn here). Thanks for the comment. I believe we have created a good mix of inexpensive (below 15 bucks) and extravagant gift ideas. If you are still on the fence on the lower priced items in this list, you can check out the related pages. I am sure you can find some below ten bucks. We are going to produce another series of articles for presents for more types of fathers by January so you might want to check us again for that. We are going to add more affordable ideas (even DIY ones) for you. Thanks!